Contact lens discomfort and irritation can be an unfortunate occurrence when wearing any kind of contact lenses. Even if you are a regular contact lens wearer, you can still experience some unexpected discomfort during contact lens wear. The most common reason for pain or burning sensations when wearing contact lenses is that the contact lenses are somehow contaminated after opening, or have not been cleaned properly. Other reasons could include overly sensitive eyes that might be more to prone to reacting to a new contact lens material or a new brand of solution. Have the contact lenses been prepared properly? Are there any unexpected damages or tears in the contact lens? Have your contact lenses been fitted properly? Are your eyes extra sensitive in the current conditions? Our first, most important tip for remedying contact lens discomfort is to IMMEDIATELY remove the contact lenses from your eye. This may seem obvious, but prolonging the wear and seeing if the irritation goes away could cause unnecessary damage to your eye. Some experience contact lens discomfort as they put in contact lenses without preparing them properly. Once removed from the packaging, contact lenses must be soaked in contact lens solution before wear. This alters the pH of the lenses to a level more suited to your eyes, neutralising the sterile fluid they have been packaged in. It can also help soften them slightly. Please see our full guide to contact lens preparation. When preparing and handling contact lenses you should ALWAYS wash your hands; using unscented soap. Contaminating the lenses with unwashed hands could make them uncomfortable to wear. Contact lenses are extremely delicate and thin, so mishandling them can easily cause rips, tears or unnecessary damage. These irregularities can cause pain when worn, so you should always carefully inspect your lenses before inserting them. If lenses are not cleaned properly, it is also possible to have a build up of residue that may cause some discomfort or a burning sensation. We always recommend customers check the contact lenses before removing them from the packaging. If you spot any damages before unsealing the lenses you should contact customer services immediately. Our eyes are all different shapes and sizes, so it’s never possible to have a one-size-fits-all contact lens. We always recommend that our customers consult their optician for guidance on contact lenses as they can advise as to whether or not your eyes are suited to coloured contact lenses. It is possible to experience some discomfort when the contact lens measurements do not match your eye measurements. 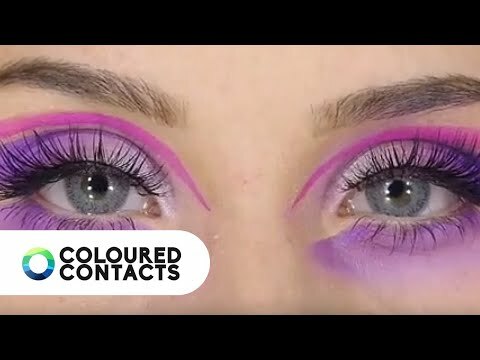 This can be the common reason why users get contact irritation in one eye, as the prescription on the lenses being worn might not match both eyes. If this is the case you may experience problems such as the lenses sliding out. Your eyes can react to environmental conditions such as extra dust or pollen. This can be made worse by wearing contact lenses, as some allergens can stick to the lens surface. The same can be said for additional factors such as perfume, cigarette smoke, and deodorant. If you suffer from conditions such as hayfever, wearing contact lenses may further irritate your eyes. 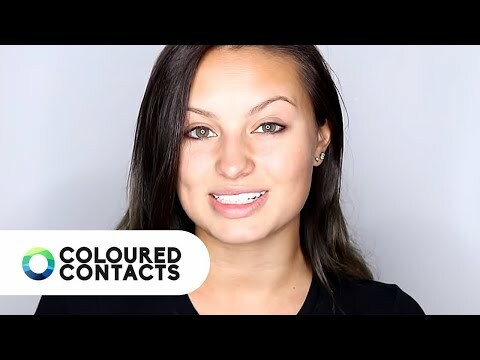 It is important to remember that coloured contact lenses are not to be worn longer than a recommended 8 hours at a time or during activities such as showering, bathing, swimming or physical exercise. All of these actions could increase the chance of having contact lens discomfort. Once you have removed the contact lenses, there are a few things you could check to self-diagnose what is causing the discomfort. 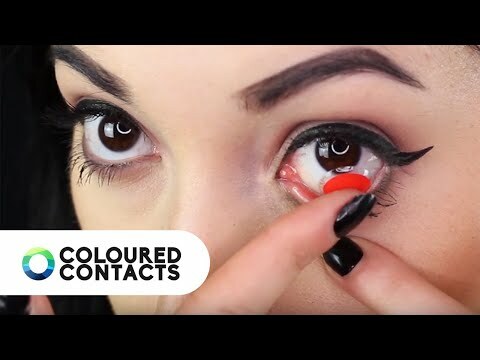 As well as inspecting the contact lenses, you could also consider returning the contact lenses to a clean case, with fresh solution, to give them another clean. If any issues persist during subsequent wears, you should take the contact lenses to your optician. If any burning sensations or pain continues once the lenses have been removed, you should seek medical advice. Your optician should then be able to give advice on what is causing your contact lens irritation. They can recommend the best course of action for remedying any problems and could suggest even more ways on how to make contacts more comfortable. Contact lens discomfort and irritation can be an unfortunate occurrence when wearing any kind of contact lenses. Here are some considerations and tips for if pain occurs.